Judith Leigh, Wales officer for the SPAB, reported on a pioneering database of Welsh stained glass in the spring 2013 SPAB Magazine. You can browse the database by subject, artist, location and more. 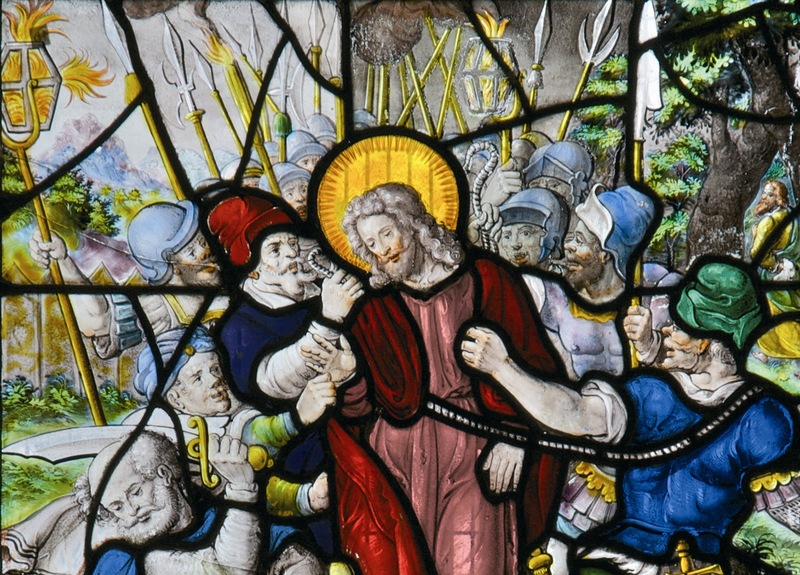 How very familiar is the appearance of stained glass, its vibrant colours, its settings, most often ecclesiastical, and its imagery; but the names of the artists and workshops who created it are very unfamiliar to most of us. Traditionally their work has been mostly unsigned and it is left to scholars and enthusiasts to identify pieces. A ‘Stained Glass in Wales Catalogue’, created by Martin Crampin and his associate web-designers Technoleg Taliesin, was launched in June 2011. Tailor-made for recording visual historic artwork, its aim is to hold a record all the stained glass in Wales, of all periods, and through the careful design of the database, enable cross referencing across diverse fields of interest, artist, workshop, subject, place, other archives and studies. The catalogue grew gradually out of projects run by the University of Wales Centre for Advanced Welsh and Celtic Studies, the first being The Visual Culture of Wales funded by the Heritage Lottery Fund and The Arts Council from 1996-2003. The founding premise was to counter the perceived fallacy that there was no national art of Wales, and resulted in three ground-breaking volumes by Peter Lord and John Morgan-Guy. These scholarly and generously illustrated volumes make the case for a specifically Welsh vein of British, even European, art and the resulting collation of material has created an important archive stored in the National Library of Wales, catalogued, reformatted and put on line subject to copyright. The Sower, 1966. Designed, cartooned and painted by John Edwards. Church of St Michael, Llanfihangel Genau’r Glyn. Martin Crampin, an artist, designer and photographer, now a doctoral student, has worked on these projects from the beginning. Visiting buildings with specific commissions to photograph identified images, he also took the opportunity to photograph other historic imagery, particularly of stained glass. From this grew the concept of the stained glass database. It is by no means comprehensive yet and proposals for new entries are welcomed. 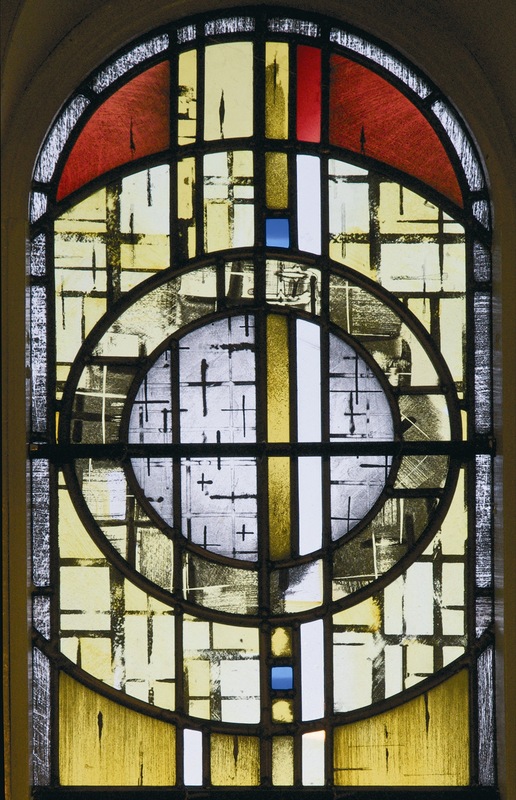 The wide scope of the database also encompasses stained glass in modern techniques and from a secular context. 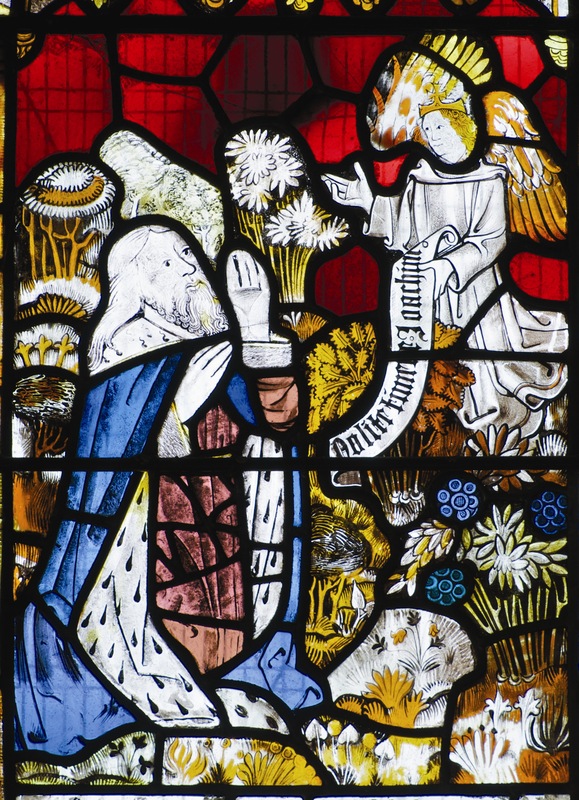 A thumbnail sketch of stained glass in Wales would first draw attention to the important late fifteenth and early sixteenth century stained glass in north east Wales. Fragments of medieval glass have survived in about fifty sites in north Wales; very little survives in south Wales though some re-sited imported glass from the continent has been identified. 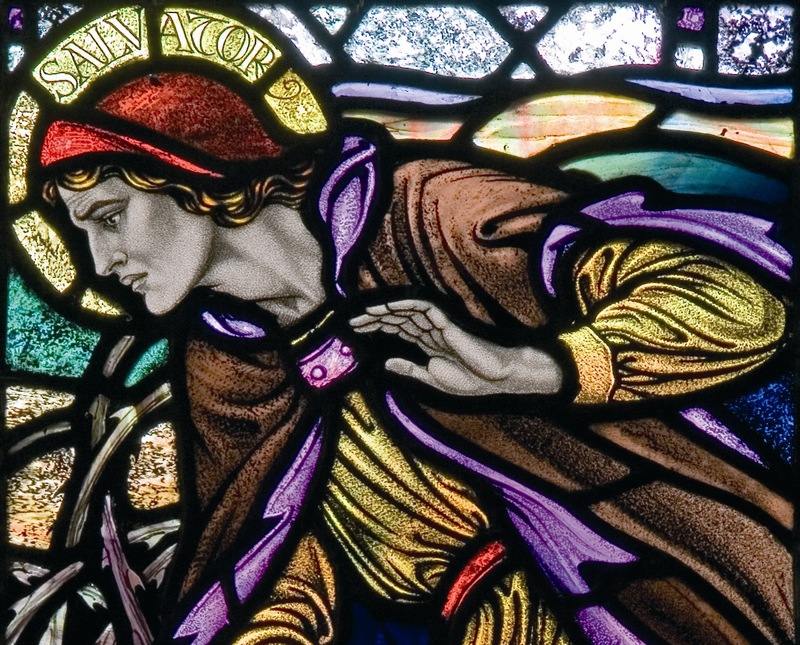 Victorian stained glass in churches in Wales mostly comes from the big studios in London, Birmingham or Newcastle. Less well-known glass is being identified and recorded in non-Conformist chapels and in Roman Catholic churches. As the catalogue has grown it has been possible to attribute unsigned windows to firms making style comparisons and identifying instances where designs have been re-used. The twentieth century has many Welsh artists and workshops or artists ‘local to Wales’. 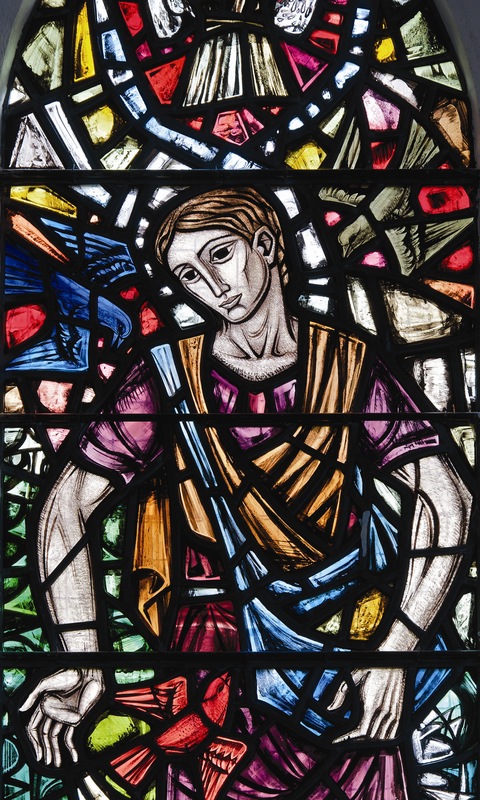 Swansea’s Welsh School of Architectural Glass established in the 1930s and still flourishing has trained many artists whose work is in places of worship and public buildings in Wales. It also gave rise to the firm of Celtic Studios, their output very familiar in south Wales’ churches. Stained glass emanating from Wrexham College of Art is found in north east Wales. Well known 20th century mixed media artists such as John Petts, Frank Roper and Jonah Jones have substantial bodies of work Wales. There are also some exceptional commissions from major English 20th and 21st century stained glass artists in buildings in Wales. Anonymity is no longer a problem. We believe that this is the only comprehensive national data-base of stained glass, including nineteenth and twentieth century glass, though we understand that something comparable is being considered for England for this later period. It is a valuable resource for so many: enhancing enjoyment and understanding of the medium by the public, extending the knowledge of specialists and in particular helping those with responsibility for caring for historic buildings and their contents to ensure proper identification, maintenance and conservation of these national treasures.